Last week when we were in NYC for the ShopUp, we met up with the talented team from Hatch and had a little photoshoot with some of our favourite pieces from the new Autumn/Winter collection. It was so, so fun to play dress-up in all the stylish clothes, and Esther and I had a blast pretending to be models (haha!) on the streets of Brooklyn. 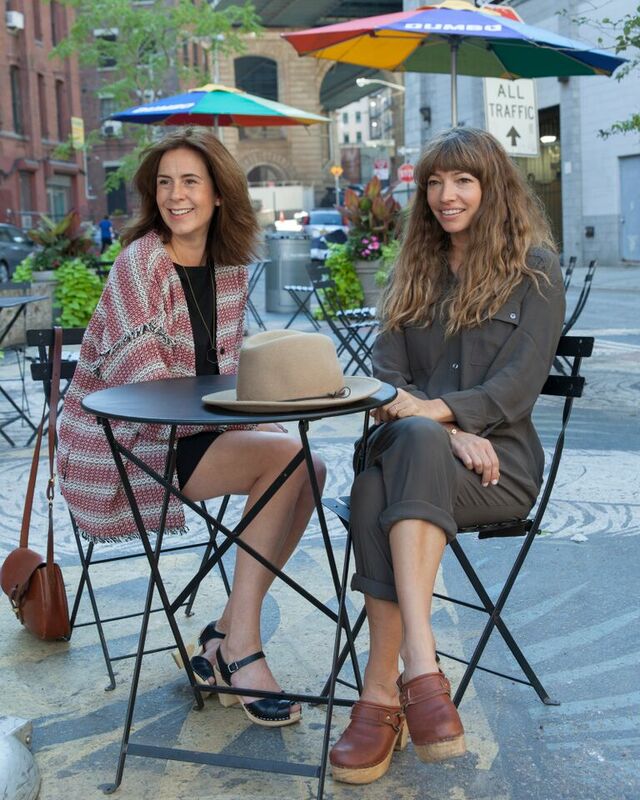 Esther and I have been long-time fans of the Hatch maternity label since we discovered it during our last pregnancies with Casper and Marlow, and I still wear many of those original Hatch pieces three years later. What I love about Hatch is that you can feel better about investing in stylish maternity clothes knowing that you’ll wear these pieces after pregnancy and for years to come. The clothes are comfortable and effortlessly stylish, and I love how the shapes seem to fit women of many different sizes, pregnant or not pregnant. The Union Jumpsuit is a perfect example — it looks great on Esther with her tall, skinny body, and then it also works on me (I just had to roll the cuffs a few more times). I also love that you can dress the pieces up or down depending on how you accessorise. I wore nice flats with the Isabel Pants for a dressier look, but look how cool they are paired with trainers! We were laughing (and admiring) this guy’s ability to sleep in the middle of bustling NYC, below the bridges and amidst the noisy sirens and taxis whooshing by. So good! So New York! All photos taken by Marko Jokic. Thank you, Marko, for making us feel so at ease in front of the camera! You girls are absolutely stunning and who doesn’t love Hatch! They outdo themselves every year! And this guy one the last picture has to have small kids at home 🙂 I feel like this every evening! So Cute! Best legs – Esther. Best easy, breezy hair – Courtney. 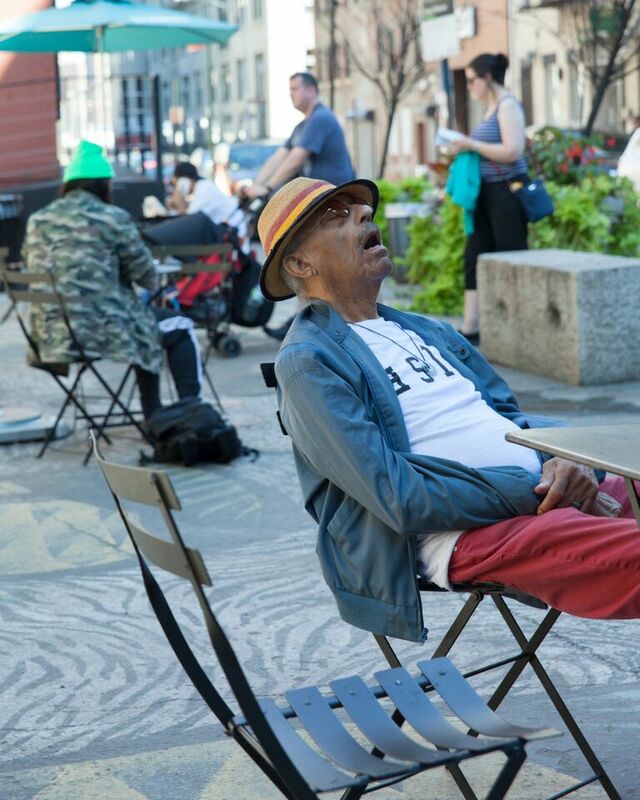 Best open mouth snore – sleeping New Yorker. Love you! beautiful pics! What fun! I love Hatch! Especially their nightgowns which are amazing!!! Beautiful clothes. I really love the clogs used in the photoshoot, where are they from ? Thanks! How do I purchase/find the brown clogs?